CHICAGO — World Dance Day is not merely an annual event to Chicago-based choreographer Nejla Yatkin. After growing up in Berlin with familial roots in Turkey, Yatkin has spent the better part of her dance career on the road performing her own work or with world-renowned companies such as the Cleo Parker Robinson Dance Ensemble, Dayton Contemporary Dance, and Danza Concierto. As a result of her ongoing geographic explorations, Yatkin frequently builds global ideas and perspectives into her choreographic and teaching work. In 2013, after completing an international tour of her ensemble piece Oasis, which was inspired by the Arab Spring, Yatkin was compelled to bring together diverse global groups through dance as a way to balance the negative news cycles and dividing conflicts that are commonplace in our international community. By 2015, after substantial planning, this initial inspiration grew into Dancing Around the World, a multi-phase global dance project spanning twenty countries that used site-specific dance as a tool to build empathy, cultural curiosity, and somatic awareness amongst its participants. Yatkin and videographer Enki Andrews traveled from Chicago to remote locales around the globe (see the full list below) conducting and documenting site-specific movement workshops that inhabited public spaces and encouraged local dancers to embody the pulse of their unique environments. The trace of each workshop is encapsulated in a dance for the camera that captures the essence of the places and the people involved. These individual videos were interwoven into a culminating documentary on the project, which was made possible through support from 3Arts and the Jay Pritzker Foundation, will have a special one-day screening in each workshop location in celebration of World Dance Day on April 29. 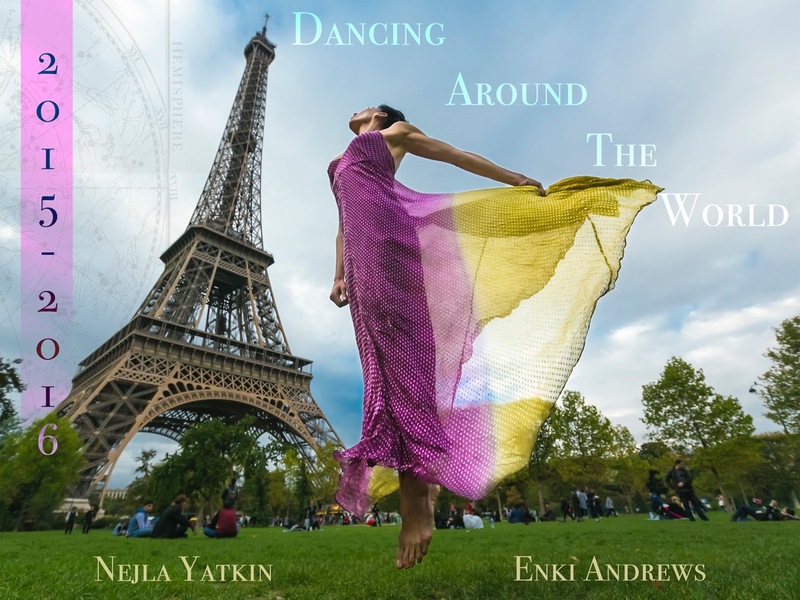 Dancing Around the World offers us a much-needed affirmation of the value of cultural diversity and our interconnectedness as human beings. To join the World Dance Day screening, visit this link on April 29, where Yatkin will be streaming the full documentary for one day only. Alyssa E. Motter is a dance artist, educator, and writer based in Chicago. She is an adjunct faculty member in dance at the City Colleges of Chicago and is pursuing her MFA in dance at the University of Wisconsin-Milwaukee. She dances with the South Chicago Dance Theater, and has performed in New York, Chicago, and Pittsburgh with choreographers such as Kyle Abraham and Renee Wadleigh. Additionally, she has worked as an arts administrator with Jacob’s Pillow Dance and Carnegie Mellon University; and holds a BFA in dance from the University of Illinois at Urbana-Champaign.